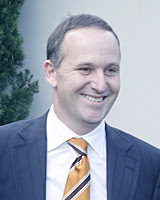 Had a call from Radio New Zealand last night asking me if I had seen the NZ Herald story on John Key posting to YouTube, "did I think it was a good idea", and would I like to talk about it on air on Morning Report , this morning. I said okay. So last night, fresh from three days in Wellington, I'm back online to YouTube looking at a relaxed John Key, the leader of the National Party, [currently the main opposition party in NZ] , sitting in his garden last Sunday, musing on his upcoming policy speech which he was due to make in Christchurch, the next day. In this speech he talks of the growing underclass of New Zealand and the need for new policies to lift certain communities out of the no hope of despair. Naturally, Helen Clark, the NZ Prime Minister has very strong opinions on this speech. But what of the YouTube connection, and National Radio? 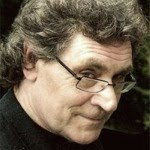 Well I turned up as requested and spoke to the ever young Geoff Robinson , in that wonderful, I can't believe I'm asking this voice of his, which he saves for what Radio New Zealand call 'technology stories'. Geoff, as he occasionally does with technology stories, was a little bemused as to why anyone would bother to go there to watch this stuff? In response, I tried to turn this around to emphasise that YouTube was not just a place people went to watch, or post, stuff: but that more and more, it is also a distribution mechanism which gets video into personal blogs, news and video and rss aggregators - [e.g. http://www.netvibes.com/] . I then begged the question, does National, and John Key, understand the ecology they are joining? That the video could end up as part of someone else's mash-up, or it might stream onto all sorts of other sites and web locations of which National might not have the slightest knowledge off? Is National up for this? Who knows? But of equal, if not more interest, at least to me, is whether John Key and the National Party have a "digital strategy" or, at minimum, a policy development group somewhere, working out something like that? By digital strategy, I'm meaning, how much thinking have they done on how the digital pathways and new networks will affect every other policy area they are trying to get a handle on. For example, in education, do they have policies which will offer world class digital learning pathways and opportunities for all of our children, including the kids stuck in the so called underclass? And before anyone drops on me to tell me that online and distance learning doesn't work, you might want to take a wander around some of Auckland's most exclusive private schools, where a parent provided laptop is obligatory, wireless networks abound, with some, Kings College, selling their own online teaching materials offshore at a handsome profit. On "life long learning" - does National have a policy framework which will continue to support projects in the likes of the People's Network, or plans to either support, or replace the current governments $20million Community Partnership Fund. Over on the connection side of the current government's "digital strategy", is it National's intention to continue to push for more open access to Telecom's networks - push for more progress on the introduction of ADSL2 - give support from municipal networks like the "Broadband Challenge", as well as help schools, libraries and other community assets take advantage of the advanced high speed networks like Karen. Much of the above projects are part of the current government's , digital strategy. None of this is unique to this government or this country. Almost all countries, certainly in the OECD, are spending money on digital projects, programmes and perspectives. However, the question, for today, is whether John Key and his new look National Party are on the case? Is John Key's appearance on YouTube somebodies not so bright one off idea, or is it a signal that they want to play in the ecology of the web? The National Party is currently at a three day policy retreat in Gisborne. Are they working on these issues? Or, as I write, is Maurice Williamson, the only National party politician I have met who "gets digital", wandering the corridors hunting out his suddenly elusive peers to try and engage them with this digital stuff? Caught you live when I was up in AKL today Paul, heading in to meet the eLGAR library consortium of key Auckland libraries - and then to Kristin School on the North Shore. Both these meetings were instructive. The Librarians see the need to ensure public libraries evolve to be an access point to global content - and they expect this to by mostly digital within a generation. High speed connections to municipal fibre networks and to KAREN are essential to enable this. The North Shore schools are starting to plan how they will use their new fibre connections, made possible in part by a Broadband Challenge funding win by Vector. The aspects of content democracy and social networking you tried to get get NatRadio to engage with will emerge on an institutional basis - as well as a personal one. Paul.. nice post. Everybody's doing it - in the US John Edwards posted his announcement of running for prez on YouTube, has a Flickr page, a Facebook page and a MySpace page (http://johnedwards.com/). Do they understand the ecology? ... I think they understand it as an essential part of running a contemporary media campiagn regardless of the possibilities of critical mashups, etc. The "kids" aren't as naive as perhaps they think; just because you're on YouTube (et al) doesn't make you politically hip and cool. I love the comment left by a 21 year old poster on that Key vid ..."the 'printed' reason of "bringing young people to the party" simply isn't going to cut it. I can tell you whats going to bring younger voters in (I'm 21), and thats your policies." What continues to bother me is the hackneyed political rhetoric of fixing education = fixing society. Ho hum. It's a particularly boring but somehow inevitable tack of almost every political campaign i've ever seen yet more often than not it's overly imposing governmental policies that frequently mess it all up in the first place. Interesting issue. I think you mean "somebody's" though.